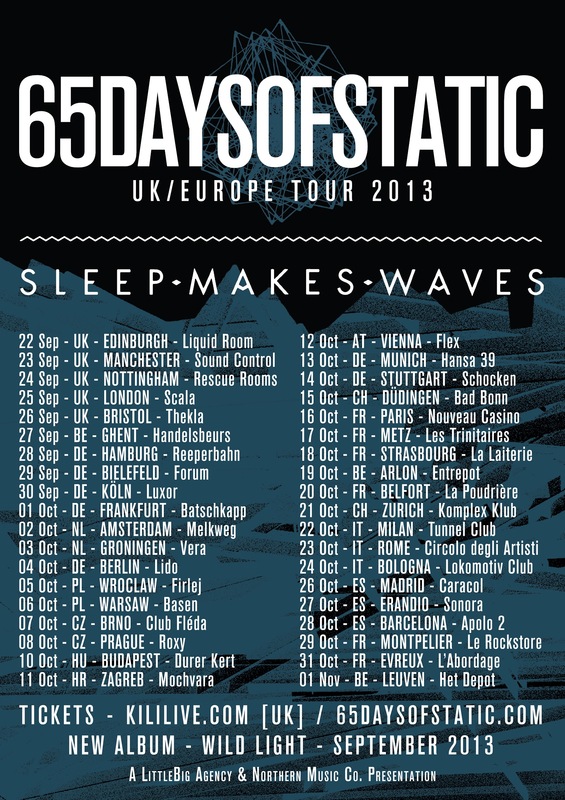 Did we mention we are touring Europe with 65daysofstatic!? Only a billion times already. But like all great things, it bears repeating. These excellent UK gents are taking us on a wide sweep of the UK and Europe on the 37-date tour fo…r their soon to be released LP Wild Light. You can find the full list of dates and ticketing info at 65’s official website. Do come along. We will be playing our little hearts out for you on this one and would love you to come and say hi. We have also added one headline show of our own in London for those of you who missed out on tickets to the Scala gig, hoping to see you all there!